How do I hide a sub-account? To hide the sub-accounts, click the Up Arrow icon. 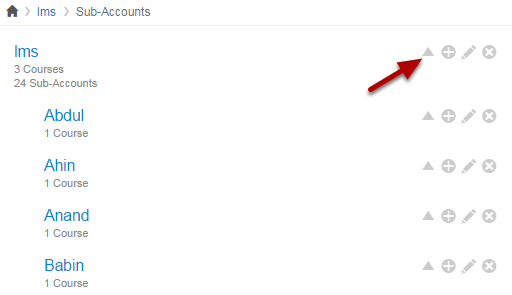 To show the sub-accounts, select the Down Arrow icon.